My 2010 does NOT have a bow hard tank. It's got the walk through and storage under the cushions. Anyways I have a triangle sac I use up there and want to do an integrated install. My MLS screen has a MLS Front fill/drain button and it can also be programmed with presets to fill/drain the front tank. But there is no Front tank. So my question is. Are there wires somewhere that I can tap into to power the reversible pump I have planned to integrate the bow bag? I want to ideally keep it like stock so I can use the dash controls to fill/drain the bag. Yes! You can absolutely do this. I've done it in my '15 23 LSV and that system is slightly more complex. There are a few questions: are you looking to use a set of impeller pumps (like what Malibu uses for the hard tanks) or a reversible pump? You won't have any feedback on fill level since there isn't a sensor in your bow bag, so be careful not to overfill it (or run vented). I’m gonna Run a Johnson reversible. Where’s the wire harness? 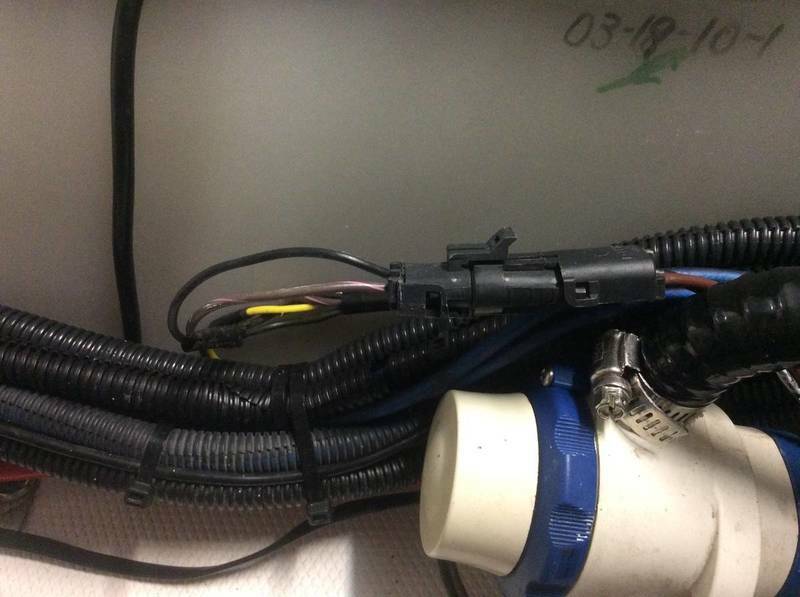 All related wiring and hoses for the front ballast tank come up and out of the hull access port on the deck, behind the sub on my '10. If the harness was pre-installed, which I strongly suspect it is, it be will in a wad of wires behind the sub or down in that access port. You should have room underneath the less than stellar workmanship of a fiberglass partition for the drivers helm to run the ballast lines up front. I run a Johnson for my front 750, that I attached to the wall directly behind the sub. I installed a new brass female thru hull and a straight seacock valve with 1" barbed end into existing front bilge drain port in the keel. I then ran the hose into the Fibecs, forward and up and out of the hull access port behind the sub and onto the Johnson. It made for a very simple and clean install with no drilling for a new hole. The line into the bag sits behind the panel on the port side, out of site until I pull it out to fill the 750. Thanks for your replies. Any tips on which wires I’m looking for in that bundle? It should be an empty female head with 2 wires. I will have a look as soon as I can and get back to you. Take a look at this thread, it's got all the details for my 2015 23 LSV (with pictures). I think someone called me out that the fill/drain wire labels were reversed, but the logic still holds. Here is a shot of the factory wires, brown/pink and black.